High in the mountains north of Lecco, tucked away by the side of a little-travelled road, there is a house. If you drove past at speed, you might not notice it at all. If you did see it, you’d probably dismiss it as just another once-beautiful, half-ruined villa of the kind that is common in Italy. On this occasion, you’d be wrong. 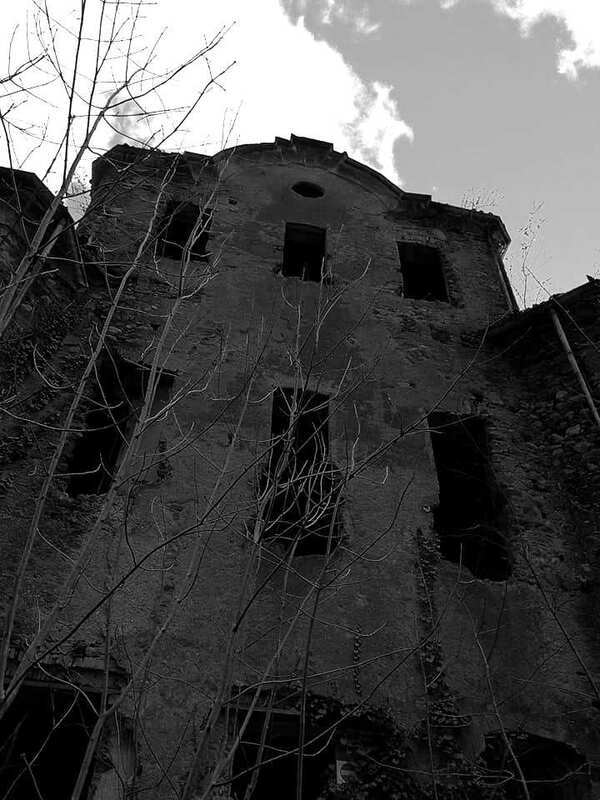 This is la casa più infestata d’Italia, the most haunted house in Italy. 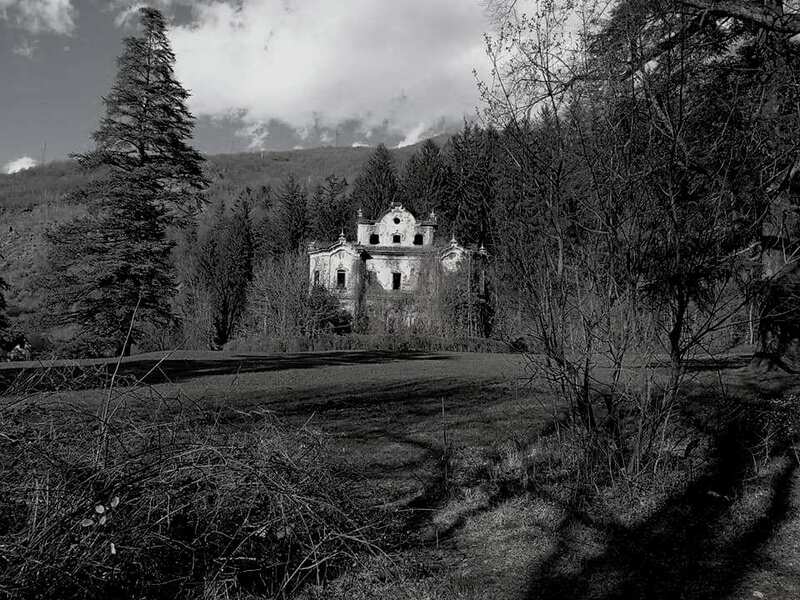 La villa delle streghe, or the witches’ villa. Welcome to the Villa De Vecchi. On certain nights, it is said, the sound of piano music has been heard coming from the deserted villa. 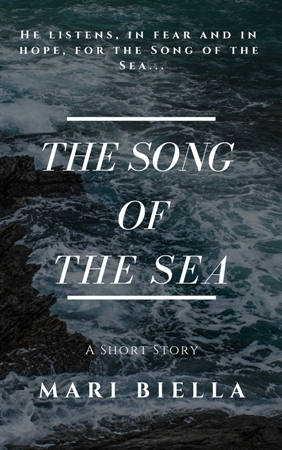 The ghost of a child has apparently been witnessed within and near the house, while a woman’s cries and lamentations are sometimes heard. Even the fountain in the grounds was once said to spurt blood. What kind of history could give rise to such horrors? First, the undisputed facts. The house was constructed for Felice De Vecchi in the 1850s, and was – originally – a magnificent place. It contained an ultra-modern system of internal tubes, designed to deliver reliable heating to the various rooms, and was decorated in accordance with De Vecchi’s passion for the Orient. 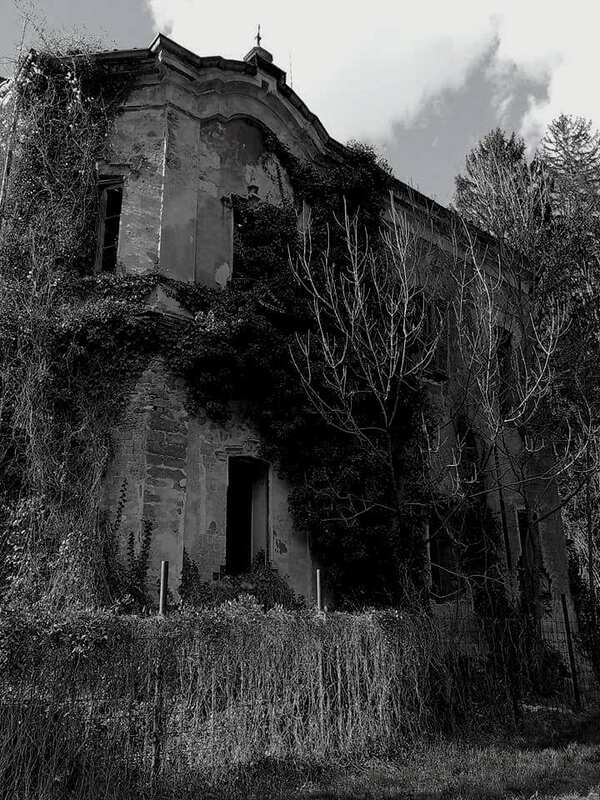 But the family abandoned it in the 1930s, and it has since fallen into disrepair and decay. The original furnishings have been looted, and the house has – predictably – been the target of vandals. Such is the certain truth. It is overlaid, however, by the sediment of myth. According to one legend, Felice De Vecchi returned home to the villa one day to find that his wife had been murdered and his daughter was missing. Though he searched the nearby woods for weeks, he found no trace of her. Distraught, De Vecchi killed himself. According to another legend, the occultist Aleister Crowley resided in the villa for a short time. After his departure, a group of his followers stayed on, and summoned a demon during their rituals. The next morning, the local police found the participants’ dead, mutilated bodies in the house. To this day, the villa is apparently something of a draw for local satanists. Creepy stuff. But is any of it true? So far as I can ascertain (if any local historians would like to correct me, please feel free), there have in fact been no strange deaths, murders or disappearances in or near the villa. Aleister Crowley appears to have had no connection with the house at all. And Felice De Vecchi, our tragic aristocrat, seems to have died of natural causes. One local resident, remembering the villa’s glory days, says that – prior to the birth of the ghostly rumours – the most memorable thing about the house was the food served up by the caretakers. Still, old legends die hard. When I heard about the villa, I knew I had to visit it. After a picturesque but occasionally hair-raising journey involving narrow mountain roads and hairpin bends, I arrived in the village of Cortenova. Unfortunately, and after parking in completely the wrong place, I found that I was still a good mile or two from the villa. Following a long (but admittedly scenic) ramble, however, I did eventually get there. The valley was bathed in bright spring sunshine at the time, which perhaps somewhat tempered the house’s sinister appearance. There are signs warning people not to approach the villa, but they approach it at will anyway. You can wander unhindered across what would once have been the house’s extensive grounds (the fountain has mysteriously vanished, though that might be just as well if it really did gush blood). Those hoping to visit the interior of the structure, however, are thwarted by high fences and padlocked gates, apparently put in place after a visiting teenager was injured while exploring inside. Nevertheless, as I wandered around the periphery of the villa’s decaying shell, I heard people – of the living variety, I’m sure – moving around and talking inside. Had they climbed over the fence? If so – and somewhat to my regret – I wouldn’t be joining them. Still, I got close enough to peer through the glassless windows. The rooms within were empty and eerie, the walls daubed with graffiti. The spirits, however – if they ever existed at all – failed to put in an appearance. Still, something slightly odd did happen that day. It was a tiny thing, barely worth mentioning. As I walked back to the spot where the car was parked, with the sun now beginning to disappear behind the mountaintops, I felt suddenly nervous: isolated, yet also watched. 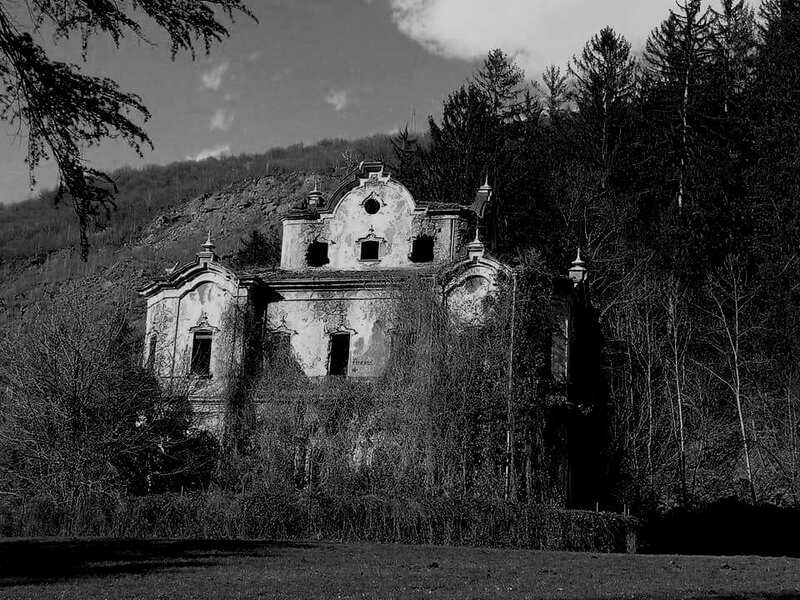 The legends that cling to the Villa De Vecchi may be unfounded, but perhaps houses gain bad reputations for a reason. There might not be demons or fountains of blood within those crumbling walls; but what else might there be? 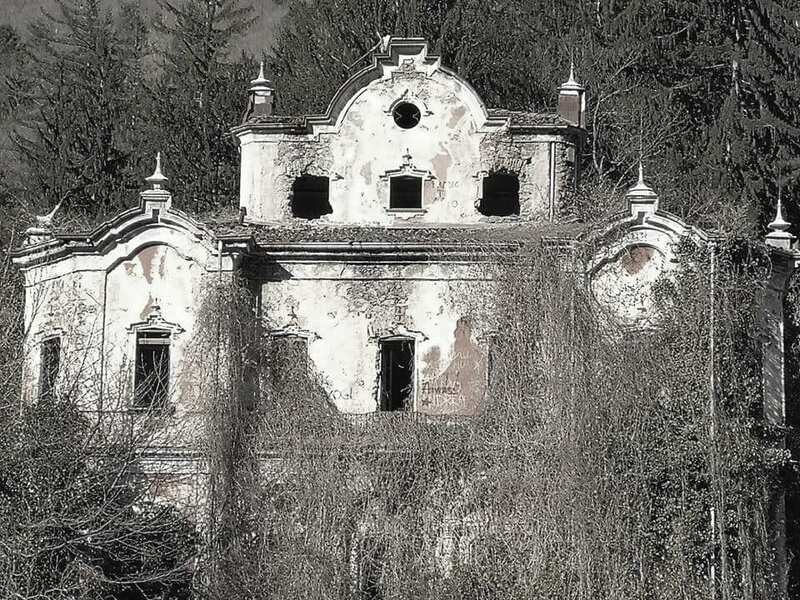 Creepy stuff, Mari… That villa and its surroundings look amazing! Thanks for the comment! Yes, it’s very creepy, and rather beautiful too. Well off the tourist trail, but well worth a visit! What a great picture you paint of a visit to a ‘lost’ world. I felt I walked every step alongside you – perhaps one day I could. Thank you! It is indeed a lost world. Terrific. I love the pictures and the writing. It would be hard to find a place that looks like that in Texas. I’m not sure I’d be willing to explore the inside alone. Would you? 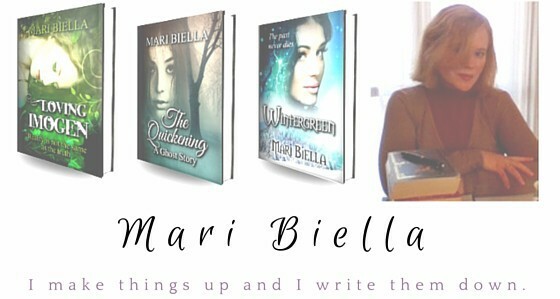 By the way, thank you so much for visiting and following my blog. Well, it’s being a bit against the rules just adds to the adventure. I have a few “ghost hunting” trips planned for the near future, but none that look as creepy as that.